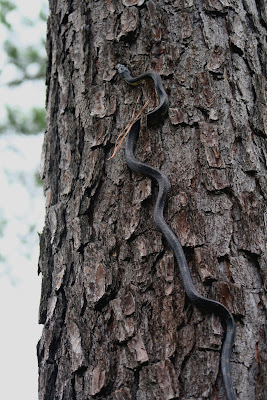 Here are some photos of yesterday out snake trapping on the Angelina National Forest and also some pics at the Ellen Trout Zoo. Today I worked on revising my second chapter of my book. I sat outside on my back patio table and it was absolutely a gorgeous morning. The weather was amazing, and there was a light breeze. I LOVE these fall days, and love to work outside. Mmm. Gorgeous! Mid-day I got a phone call from Elise who just got back from Thailand and Malaysia. I didn't know she was back yet, and it was so good to hear her voice! We went to work out at the gym together. She's still totally jetlagged but the funny thing is, within a few minutes of hanging out with her I was again saying Dude all the time! LOL. She says dude all the time. It's very contagious, dude. I love her. Dude, seriously! I'm about to go walking with Amy. We have been walking in the evenings a lot and it's really great to have friends to hang out with regularly around here, because about a couple years ago, it was a very different story. God is good! The kids each have a friend spending the night and they're coming with me. 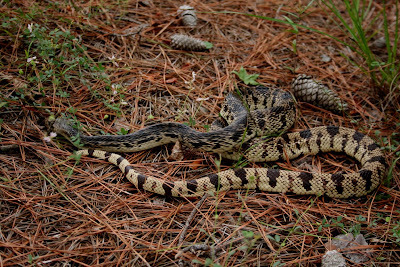 A Louisiana pine snake (Pituophis ruthveni) in pine straw. This is one of the ones they are using for captive breeding at the Ellen Trout Zoo in Lufkin, TX. 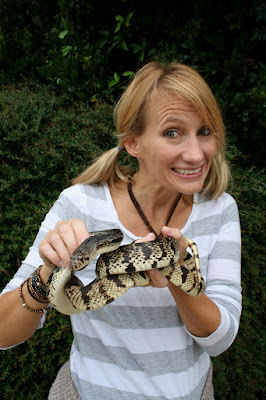 Me holding a Louisiana pine snake at the Ellen Trout Zoo. 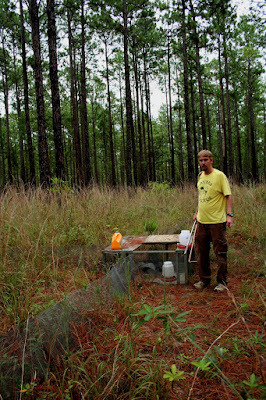 Josh Pierce, a U.S. Forest Service biologist, at one of the snake traps. You can see what I tried to describe yesterday. 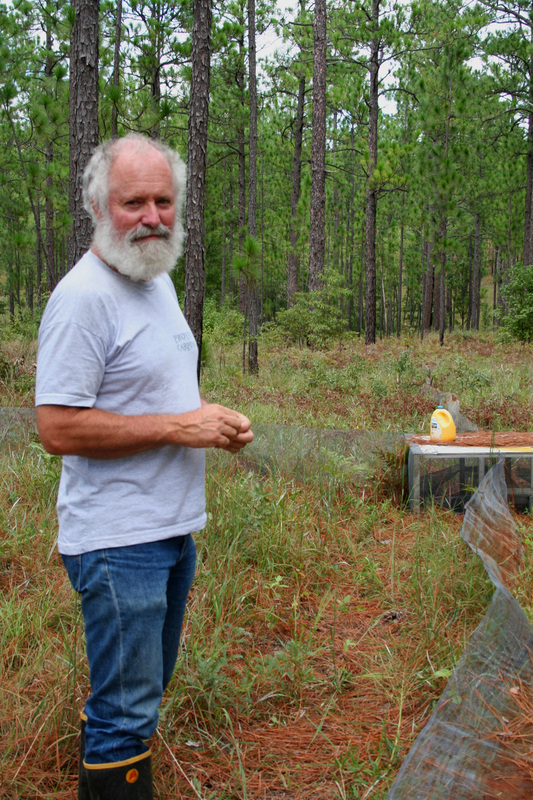 Four drift fences come out from each side of the trap, which gets the snakes to crawl toward the trap. You can see the longleaf pines in the background. They are very skinny trees, even when they are pretty old! 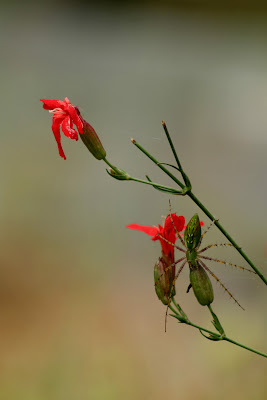 A cool green spider camoflaged on scarlet catch-fly, a rare flowering plant found in the longleaf pine savannah. This is the rat snake that we caught in one of the traps. We let it go on this pine tree. They are very good climbers, and they love to eat the chicks of endangered red cockaded woodpeckers! A pitcher plant bog. This one is a bit grown up with vegetation so you can't see the pitcher plants well in the photo, but you can see the cinnamon fern in the foreground. 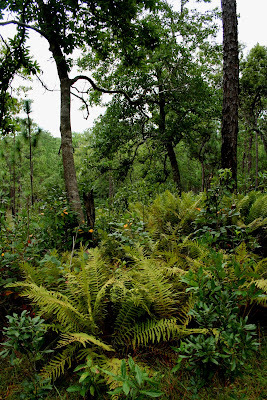 In a natural ecosystem, fire would regularly sweep through these ecosystems and clear out the vegetation. Fire had been suppressed for years and years, but now the Forest Service does controlled burning. 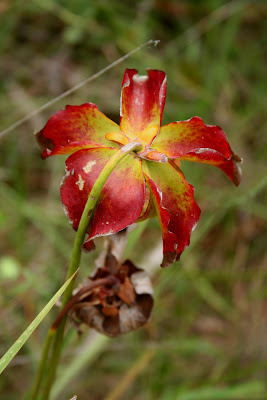 The old dried-out flower of the pitcher plant. 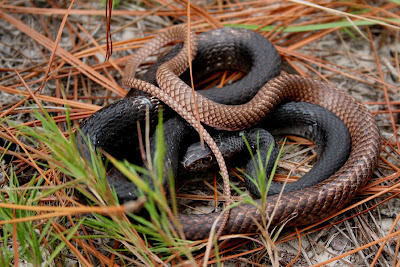 A coachwhip (Masticophis flagellum). Look at the beautiful detail on the scales! This looks like 2 snakes but it's actually one. It has a darker front half and a lighter back half. Craig Rudolph, USFS biologist and snake trapper extraordinaire!